Takeaway: Online databases are powerful and now a viable solution for any business. AirTable gives small businesses a friendly, extensible and all around powerful mobile database tool that can be used within minutes. Almost five years ago, I spoke to a group of developers and talked about different technologies and areas where database developers might want to look at. I focused on the developer - wanting to move their application development skills into a new arena. These were developers who grew up on building the small business solutions that databases provided. But businesses are different. Small businesses don't want to look at databases and technology. The world is on the Internet and information is in the cloud. People don't need offices - they carry their work on their phones. Likewise, they don't want to wait for systems to be built - they need a way to solve their problems. This is why spreadsheet and build your own systems are so popular. I was looking for a database on my iPhone. I could build one but I didn't want to have to build a full iOS application - I need it now. I can even hook up my WordPress DB. I needed something fast and I needed it yesterday. I was walking down the street and wanted to start storing information in a structured format. 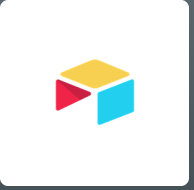 Enter AirTable. You create a table to store information. You add fields for tracking relevant information. Relevant information isn't String, DateTime, Integer - it's Text, Number, URL, Photo, Checkbox, List. You want to look at this information? You don't just specify columns you want to see - you choose HOW you want to see it. This isn't just about filtering. But AirTable's Group feature makes it easy to summarize information as well. AirTable views even put systems like Dynamics CRM to shame with view types of Calendar, Photo Gallery and Kanban, along with the standard List and Form views. A "Base" is AirTable's term for a "system". Linking tables in a Base is as easy as defining a field as a "link" to another table. Records can be assigned to specific users. Changes are automatically saved for given periods of time (two weeks for the free version, six months to a year for paid versions). For developers, the best part about AirTable is that it KNOWS that developers exist. Vendors are starting to recognize that the secret to adoption is making it easier to use. When you build an AirTable application, it automatically creates an API section specific to your system. It provides both CURL and node.js examples and has basic authentication already built in. For companies that don't have developers ready to integrate to the API, AirTable also links to Zapier for other inter-application communication. Back in 1992, I left my government job with an open job offer at the Canadian subsidiary of Fox software. Two weeks after I gave my notice, Fox was bought by Microsoft and my verbal job offer disappeared. Back then, Fox got me really excited. It was good for business needs and for developers. AirTable gets me really excited. It's fun to use, it's always changing, I can use it as both a developer and a business and it's really powerful. In larger companies, database systems are everywhere but people still create spreadsheets to manage their lists. The IT departments of enterprises and governments seek out groups within who have built their own systems and pushing them to integrate with their larger systems. Consulting companies look to win these large contracts trying to assimilate these smaller systems into a larger solution. Companies like Microsoft, Oracle, SalesForce and SAP position their solutions as the ideal platform for these integrations rather than have companies built their own solutions. If you want to be in the cloud, having a larger partner is the way to go, right? Maybe, if you have a lot of money to spend. Forget about this for a moment. Spreadsheets like Excel succeed because they make it easier to focus on the business need, not the database structure. Today, the user experience is king. You're not building an application for Windows anymore. You're building an application that is competing on Windows, Mac, tablet, phone, TV and more. AirTable fits that bill fairly well and it can grow with you. Pricing is free for small systems (under 1,200 records per "base", which is a system) but increases per user, per month, depending on your needs, even up to 50,000 records per base. For developers, that may not sound like a lot but it's a good idea. When you have a system over a certain number of records, you likely DO need a larger system, much like you do when moving from a small database to a larger SQL implementation. But when an idea is starting out or a new need has been identified, this is certainly a good way to go. It also allows the idea and experience to be tested without spending a lot of money on it. a) Mobility. Their iOS client lets you do everything you would do on the web site (with some limitations to views) including creating new fields, tables and views. They also have an Android client. b) API view. All of the hard work is already done for you. The examples are simply waiting for you to use. This isn't a paid advertisement for AirTable but it is a whole-hearted endorsement of the approach used by the company. Their outreach includes case studies and their templates cover a wide range of disciplines, from personal projects to freelance businesses to small business needs.